I am going to be conservative here and assume that an average haircut will set you back around $16. I know there are folks out there who opt for haircuts in the $30-60 range, but whatever, if you're reading this blog anyway I don't suppose you belong to that category. I may be mistaken. 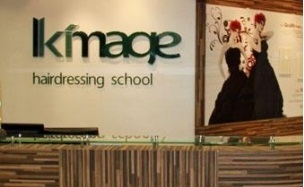 Today's lifehack presents a little secret tucked in the corner of Funan IT Mall - Kimage Academy Hairdressing School. At the Academy, students pay to go through a professional course certifying them as qualified hairstylists. To earn credits towards graduation, they need to undergo practical training sessions and this is where you come in - to become their models. Now before you freak out, we're not talking about new students figuring out how to use a pair of scissors; the Academy is actually filled with advanced students and qualified stylists who go back for refresher or additional courses. For the past few times that lifehacksg visited, the stylists had more than 6 months experience at the Academy. More importantly, instructors on scene always ensure that students give a good haircut to the customers. The instructor to student ratio hovers around 1:4, and they are constantly reviewing and teaching their students the best techniques to approach the haircut. After the student completes the haircut, the instructor will also ensure that the haircut is up to standard by personally making alternations if he/she deems necessary. At the end of the day, a salon-style cut plus wash at a convenient location downtown at Kimage Academy will set you back a good $6. Yes. Six dollars. This applies for both males and females alike. In fact, for females looking to get additional services like hair treatment, hair coloring etc. done, prices there are really cheap because you'll only be charged for the cost of the treatment/color product. Assuming a regular male haircut at $16 once per month, we're looking at potential savings ($10 x 12) of more than $100 over a year via this lifehack! I didn't attempt to make estimates for females because, well, some females cut their hair just 1-2 times a year? One thing to note: walk-ins are welcome but it will be best to call ahead to book and reserve a spot. p.s. possible downsides include an extended haircut time which could take up to 90minutes for males and 120mins for females.